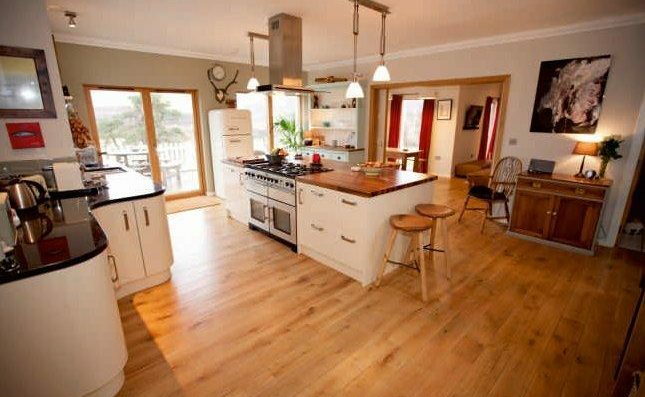 Crubenbeg Highland Holiday Cottages offers luxury self-catering accommodation in the scenic Cairngorms National Park. 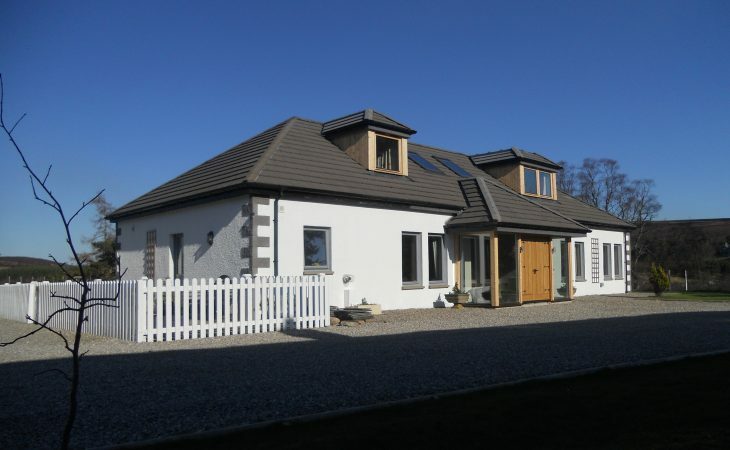 The eight 4 star holiday cottages are located in tranquil Highland surroundings with stunning panoramic views of the Cairngorm mountains. We spoke to managers Ryan and Bea to find out more about the flagship property, Fernlea, and their tips for visiting the National Park. Can you tell us a bit more about Fernlea? Fernlea is a beautiful house with a fantastic view. It really has everything for a memorable stay. It can sleep up to 9 people so it’s an ideal base for family and friends to enjoy this beautiful area. Fernlea has one twin and three double rooms with the option of a z bed to accommodate 9 in total luxury. 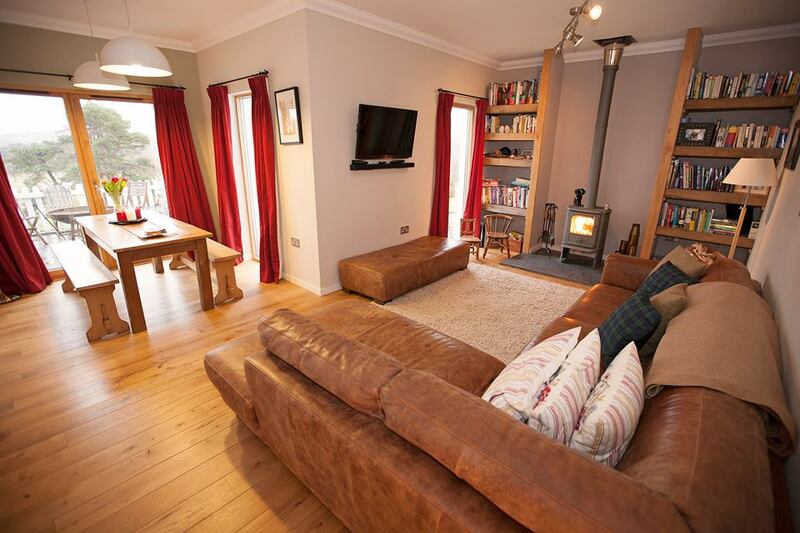 The ground floor has a wonderful kitchen with an island; a lovely dining room with a separate sitting area and a multi fuel stove; a snug room; a utility room; and two double bedrooms both with en suites. There is a lovely private deck to enjoy a BBQ or just relax with a glass of wine and enjoy the spectacular view. Upstairs has a gorgeous family bathroom with a walk in shower, double and twin bedrooms. It is an extremely warm house as the whole property has under floor heating. 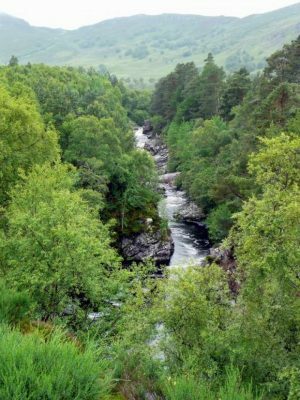 Fernlea is located in Newtonmore, what are some of the highlights of the town and the National Park? Newtonmore is only a hop skip and a jump from Dalwhinnie Distillery which is always a favourite for visitors and whisky connoisseurs. You also have the Clan Macpherson Museum & Highland Folk Museum for a real taste of the Highlands. Have you ever watched a game of shinty? Newtonmore is the Barcelona of the shinty world and the Highland game is well worth a watch. 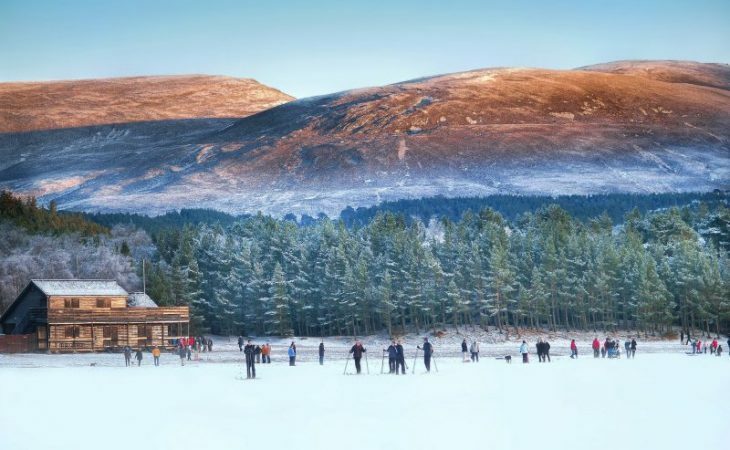 Only 25 minutes or so away you’ll find Landmark Forest Adventure Park, the Funicular Railway which takes you up Cairngorm Mountain, and the Highland Wildlife Park. 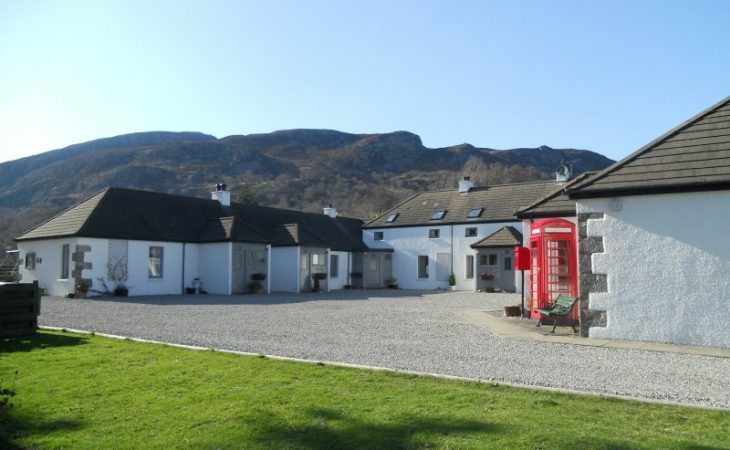 We are well located for all the main attractions in the Cairngorms National Park. What about those who want to relax in peaceful surroundings, what would you recommend? If you are looking for rest and relaxation then you don’t need to leave Crubenbeg. We are in an idyllic location with everything you need to just chill out and relax. The wildlife around us is spectacular with so much to see and hear. We also have a lochan where guests can fish for brown and rainbow trout (we have a tagged fish which, if caught, wins a special prize!). 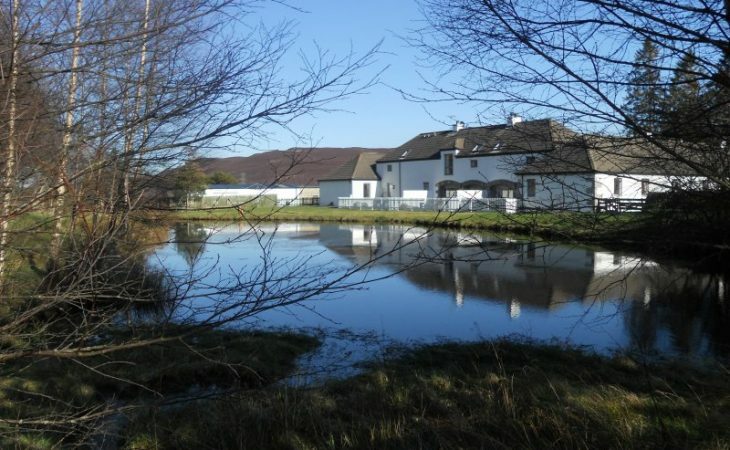 The location of Crubenbeg Holiday Cottages was originally a working farm and the cottages are surrounded by three acres of gardens and grounds with peaceful walks. If you want to venture out slightly then how about a walk around the Falls of Truim which are spectacular. Can you suggest some day trips? The Funicular Railway, Dalwhinnie Distillery and the Highland Folk Museum. Some great days out in the Cairngorms. As you know we love to share ‘Loved by Locals’ tips. What hidden gems or lesser-known attractions do you tell your guests about? Not much of a secret but if you like you skiing locals are very passionate and proud of the mountain and rightly so. 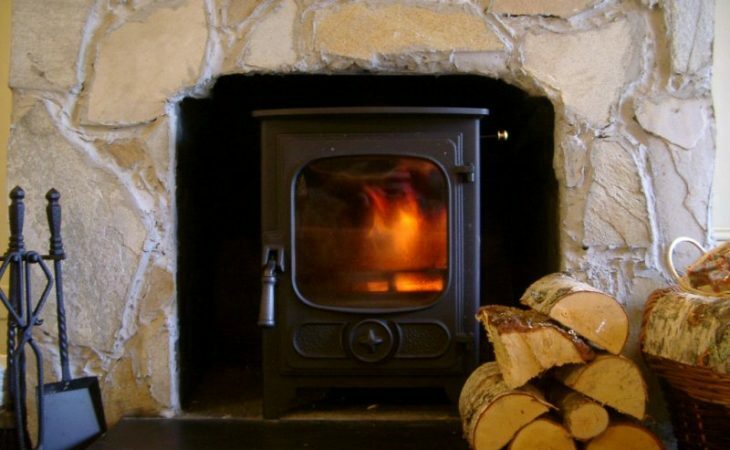 In Newtonmore people also rave about the Glen Hotel for food and a relaxed atmosphere, as well as the Newtonmore Grill for a tasty breakfast. If you’re interested in foraging and wild mushroom picking you can ask me about my Wild Fungi Map. I also supply information on edible plants and berries which you can find in the local area.